Mysql_fetch_row() return row as numeric array. 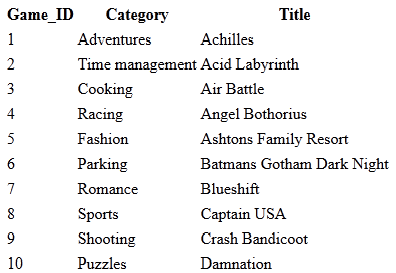 We can't use associative indices to retrieve data from mysql table using php. You can retrieve data from mysql table using mysql_fetch_assoc() in php. The following php script is used for retrieve data. 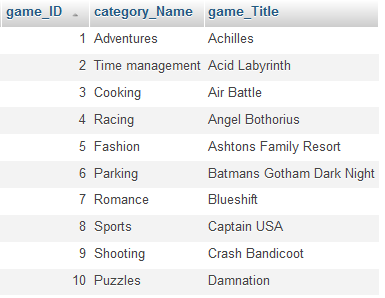 'game_Title' is the field name of column. You can't use $res['game_title'] here. Because you retrieved data from table using mysql_fetch_row().